“You can’t get by on the benefits at all,” said Grigoryeva, who has worked for the Moscow City Telephone Network for nearly 30 years. She is entitled to $73 a month in unemployment benefits, which is half what the government says is the minimum subsistence level. And it’s only a tenth of the average salary in Moscow, where she lives. 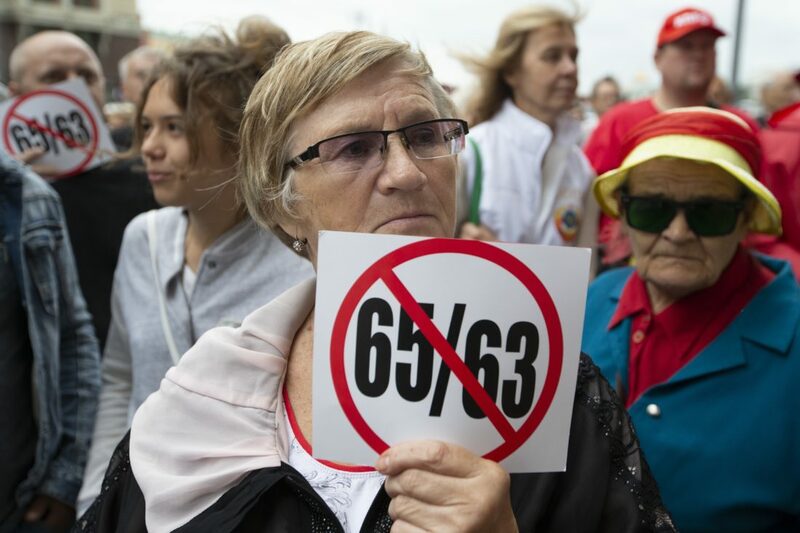 A recent opinion poll shows Putin’s approval ratings crashed this summer following the announcement of the pension reform, while an increasing number of Russians say they are ready to take to the streets to protest it. The president even made a televised address to the nation to explain the need for a higher retirement age and announce some concessions. Putin had initially tried to keep a distance from the politically sensitive proposal.